Polaris® RANGER® is the industry’s No.1-selling utility side-by-side (SxS), offering the hardest working, smoothest riding family of vehicles for hunters, farmers, homeowners and recreation enthusiasts. 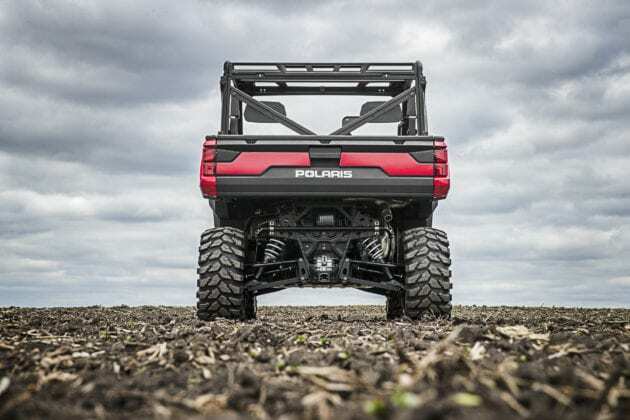 For Model Year 2018, Polaris has set a new standard in utility side-by-sides with the introduction of the all-new RANGER XP 1000. 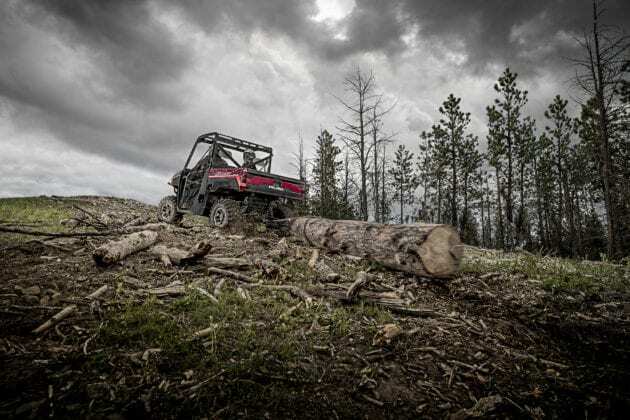 Simply put, the new flagship RANGER is more rugged, more refined, more RANGER. More than 100 owner-inspired innovations make the new RANGER XP 1000 the hardest working, smoothest riding RANGER ever built. 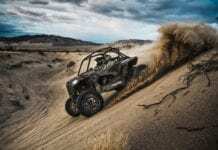 The 2018 RANGER XP 1000 is more rugged. 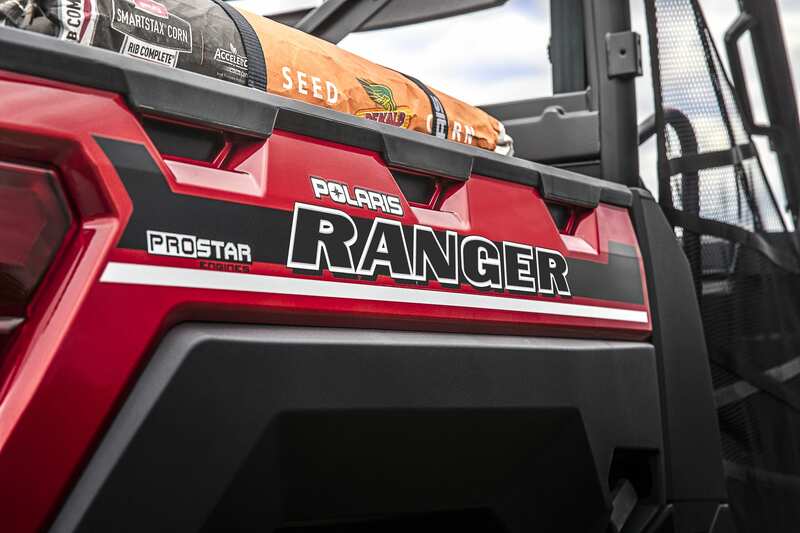 Starting with a powerful ProStar® 1000 engine, tuned to produce a class-leading 82 horsepower. This unmatched power is put to work with an all-new clutch and redesigned driveline. 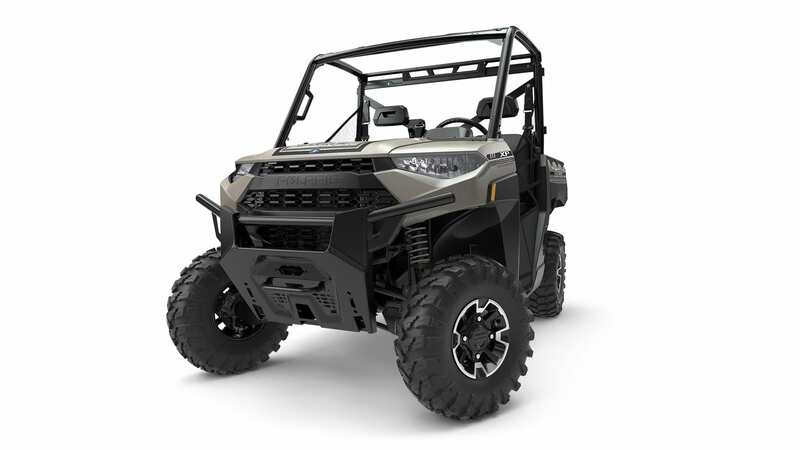 The Polaris-designed, large-ratio clutch provides unmatched, low-speed drivability and features the strongest belt ever offered on RANGER. Additionally, redesigned under-hood air intakes and a new clutch cover provide increased air flow for cooler, longer-lasting belt life. Improved driveline geometry produces less friction for increased efficiency and a quieter ride. The RANGER XP 1000 turns power into productivity with 25-percent more towing capacity for an industry-leading 2,500 lbs. (1,134 kgs). 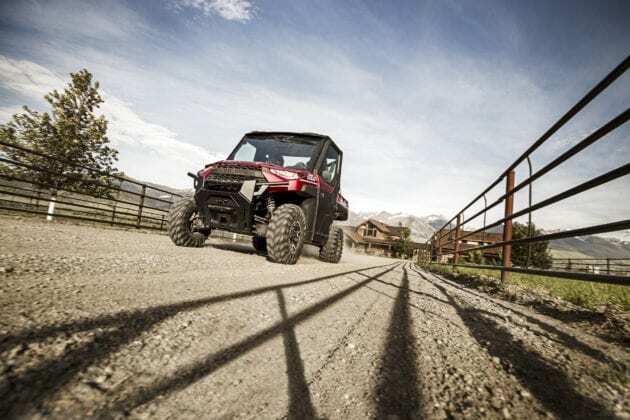 At the foundation of the RANGER XP 1000 is a more-rigid, one-piece chassis. The new chassis increases stiffness and reduces flex for a stronger, more durable machine and improved ride. The industry-leading 11 in. (27.9 cm.) 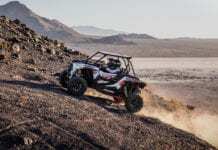 of suspension travel represents a 10-percent increase, further enhancing the legendary smooth ride that RANGER is known for. New 27-in (68.6 cm.) tires with cast aluminum rims provide a taller stance and an industry leading 13 in. (33 cm.) of ground clearance. 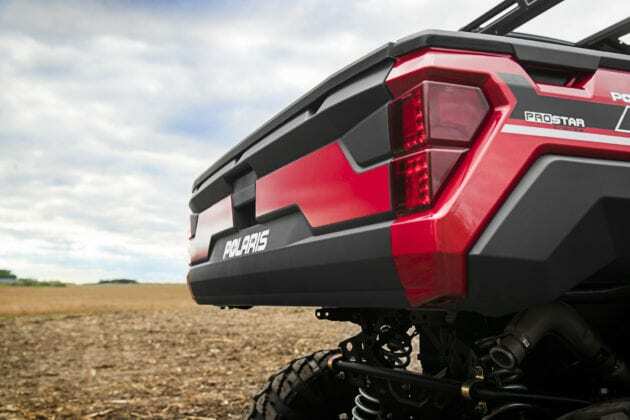 With 8.3 percent more ground clearance, the RANGER XP 1000 can conquer the toughest terrain, from the jobsite to the trail. The new RANGER XP 1000’s all-new exterior design is inspired by full-size pickup trucks and captures the essence of RANGER. 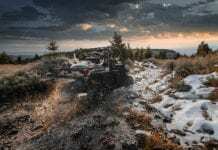 The completely new front end, larger headlights and a new distinct grill are positioned behind a massive front bumper, designed for added protection in the toughest environments. The new bumper includes an integrated Polaris Glacier® plow mount, vehicle tie-down points and mounting points for a Polaris winch and lighting accessories. 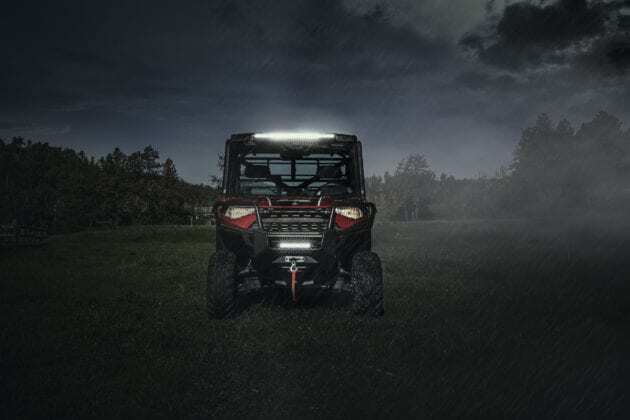 The RANGER XP 1000 also features a new, full-body skid plate providing even-more rugged protection for increased durability. An all-new dumping cargo box carries 11.5 percent more volume and has welded steel corners for increased stiffness. Features such as exclusive Lock & Ride® rails, eight stake pockets, molded in-box divider slots, and large, reinforced D-rings make it the most versatile cargo box in the industry. 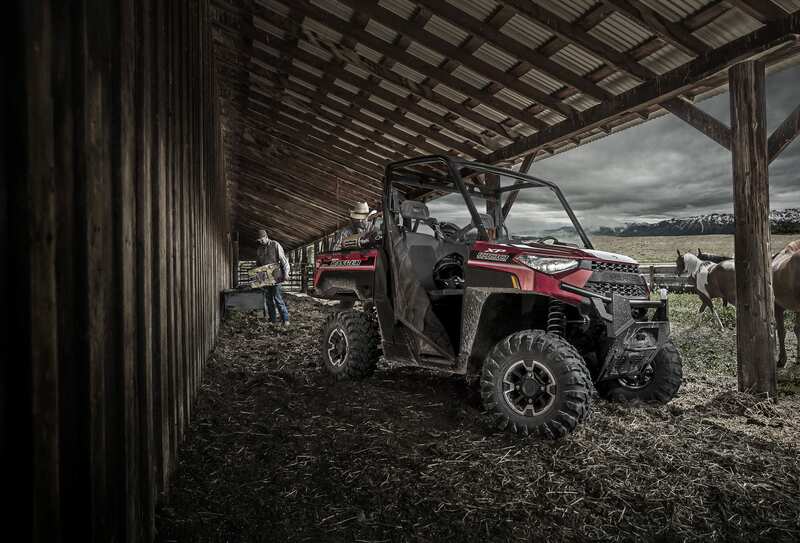 The RANGER XP 1000 is more refined, delivering the next level of fit, finish and attention to detail in a utility SxS. For precision handling, the vehicle has a reduced steering ratio and provides a tighter turning radius, and the new, front sway bar offers a more responsive ride and improved maneuverability. Low-speed clutch engagement provides a smooth ride and more control when loading, unloading, hooking up a trailer or navigating tight terrain. And now standard on all RANGER XP 1000 vehicles, the Polaris engine braking system (EBS) ensures smooth, controlled descents on steep inclines with or without a load. The vehicle also features Three-Mode Throttle Control with Performance, Standard and Work modes for unparalleled control of the vehicle’s industry-leading power. 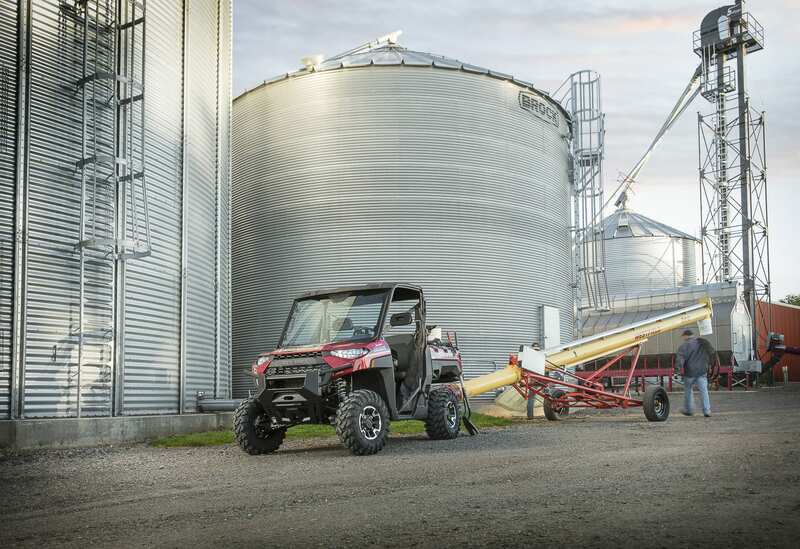 All this combines for a better driving experience, no matter the application. 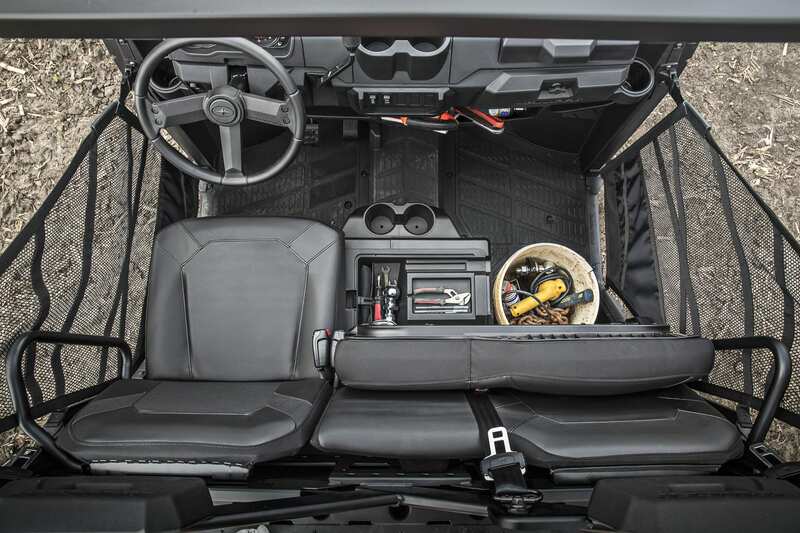 The all-new interior of the RANGER XP 1000 has been completely redesigned around the operator, providing more comfort and convenience. Getting in and out of the vehicle is easier with 5 in. (12.7 cm.) more clearance. Once inside, the operator will notice more legroom and ultra-comfortable seats with 1 in. (2.5 cm.) more bottom cushioning. 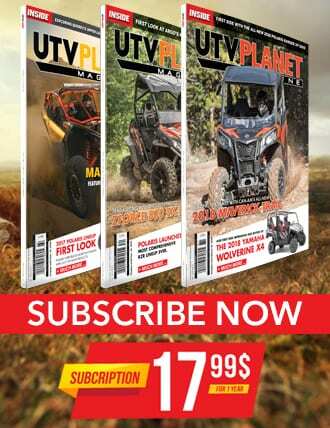 An all-new, user-friendly dash layout features a new dual-sweep digital/analog gauge and four more accessory switch locations that are pre-wired. As a result, Polaris Engineered™ accessory installation is easier. With new class-leading storage, the RANGER XP 1000 has room for anything needed for a day of riding or working. A massive, 3.4 gallon (12.7 liter) in-dash tray, and large, truck-inspired double glove boxes keep even the largest items secure. The new flip-up passenger seat offers maximum interior configurability and can hold cargo such as a 5 gal. (19 liter) bucket or a cooler. The in-cab attention to detail can even be seen with the six cup holders, including handle cutouts for mugs. RANGER has hundreds of available Polaris Engineered accessories for any work or recreation application, including cab systems, storage solutions, wheels and tires, and more. The RANGER XP 1000 takes accessory integration to new heights with the new Polaris® Pulse™ electrical system and RANGER Pro Shield cab system. 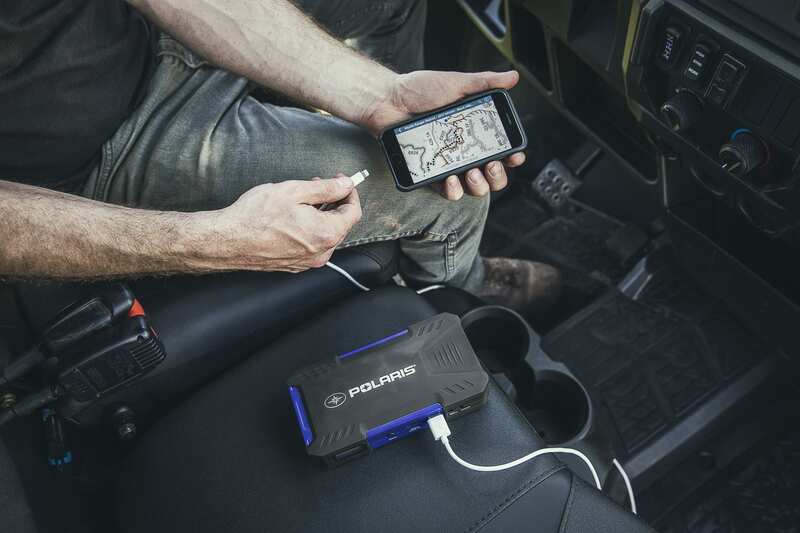 Found under the hood, the Polaris Pulse electrical system allows for plug-and-play installation of Polaris Engineered powered accessories. Additionally, a Polaris Pulse bus bar can be added to the new Polaris Engineered Lock & Ride roofs for easy installation of additional lighting, audio and other powered accessories. 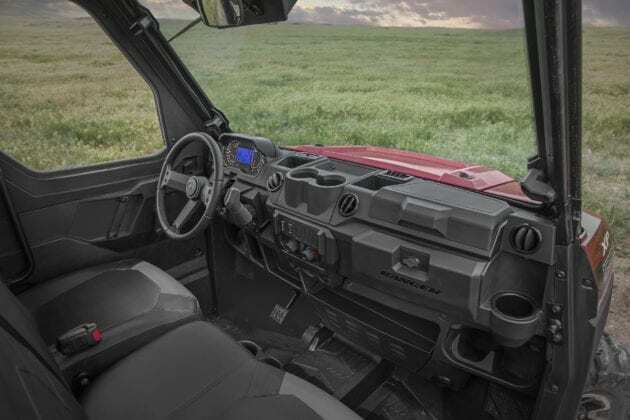 The all-new RANGER Pro Shield cab system provides the industry’s most premium in-cab experience with at least three times less dust intrusion than competitive OEM offerings. New, exterior design features on the vehicle further enhance rider comfort by reducing dust in cab. 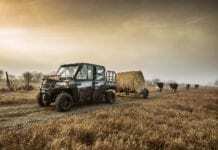 The cab system is fully customizable and features re-designed doors with crank or power windows, as well as half-doors. It also offers integrated accessory options such as an eight-vent heater and defrost system; windshield washer and wiper system; multi-function, removable cab light; heated seats; rearview mirrors; and more to provide the most-premium cab experience RANGER has ever offered. 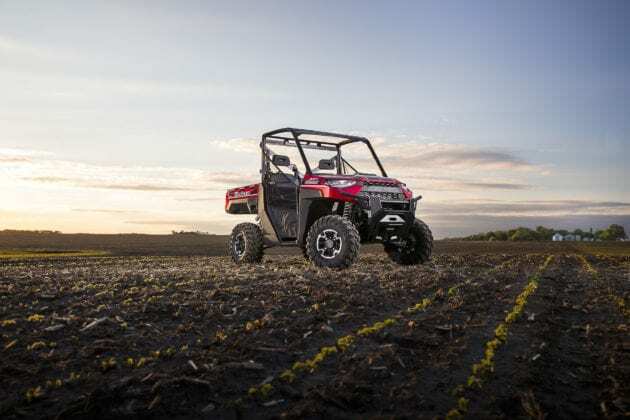 Along with the more rugged, more refined RANGER XP 1000, new for model year 2018, the entire RANGER lineup of hardest working, smoothest riding utility side-by-sides come standard with a one-year factory warranty. The RANGER XP 1000 is available in Sage Green, Sunset Red, Suede Metallic, Matte Titanium Metallic and Polaris Pursuit Camo. Special edition models include the Northstar HVAC Edition in Sunset Red with industry-exclusive heating and air conditioning. 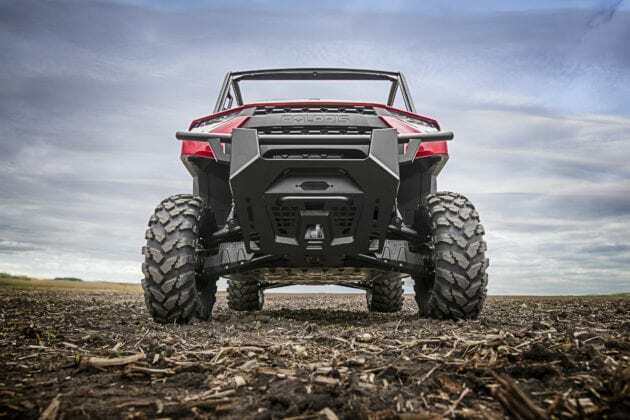 The vehicle is part of the 2018 RANGER Full-Size lineup that includes the RANGER XP 1000 High Lifter Edition (2017 design), RANGER XP 900 EPS, RANGER XP 900, RANGER 570 Full-Size and RANGERDiesel. 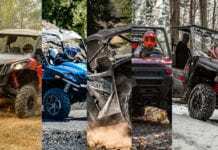 The RANGER CREW lineup includes the RANGER CREW XP 1000 EPS (2017 design), RANGER CREW XP 900, RANGER Diesel, RANGER CREW 570-6 and RANGER CREW 570-4. 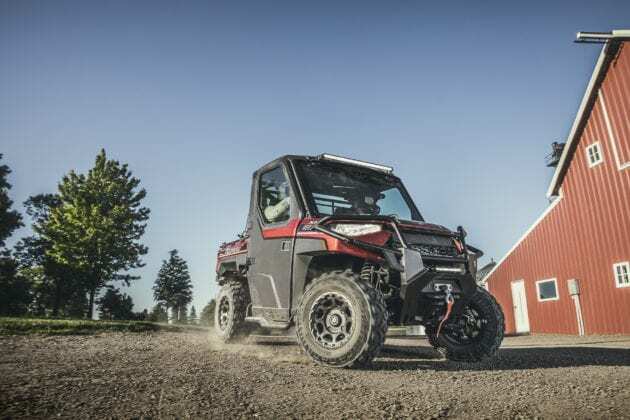 The Midsize lineup features the RANGER 570, RANGER 500. RANGER EV Li-Ion and RANGER EV. 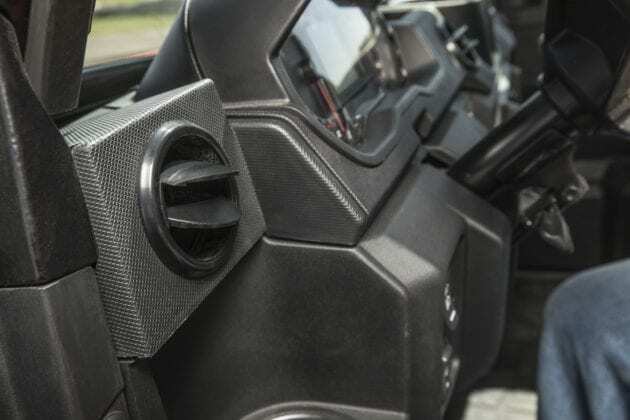 More information about Polaris Off-Road Vehicles and Polaris Engineered Accessories can be found at www.Polaris.com.